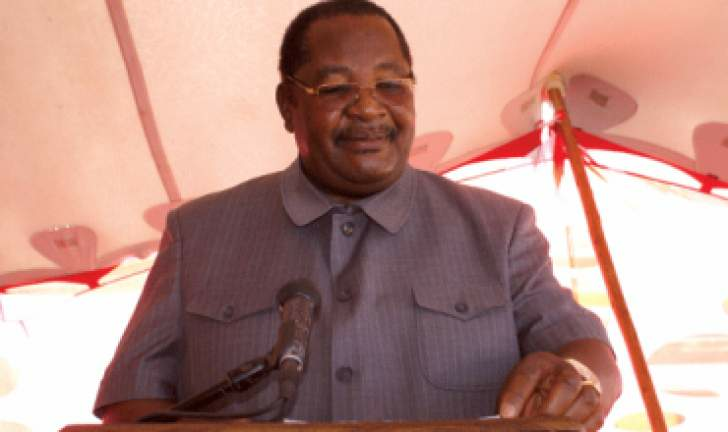 ZANU-PF secretary for administration Obert Mpofu has poured cold water on party members who are jostling for positions saying the party will not carry out a restructuring process soon, adding that they have to wait for the next congress. This comes as party members in various provinces are jostling for positions after Mpofu announced in September that there is need to realign structures in conformity with the new dispensation and the economic agenda. In September, Mpofu said party structures have been disturbed by the G40 elements, hence the need for restructuring. "There is need, perhaps, to realign structures in conformity with the new dispensation and the economic agenda," he said after the harmonised elections. That is what I can say about restructuring, it's not because we have just held elections that we are going to restructure, but it is because there is need to do the restructuring. "Our structures had been disturbed by the G40 elements; we cannot operate with some skeletal structures, and we need our structures to conform to the President's call to develop our country and the economy, and that can be easily achieved with support from a well-oiled Zanu-PF machinery, which is united." However, Mpofu was yesterday singing a different tune saying those who are jostling for positions must wait for the 2023 congress. "There is no restructuring before the conference. We are busy finalising the list of members who are supposed to attend the conference so for now there is no need to talk about restructuring process. Those who are jostling for positions now must wait for the congress in 2023. The restructuring process is done after every four years. Those who are talking about restructuring must know it's not the official position of the party because we are busy preparing for the historical conference." Despite Mpofu's sentiments there remain serious fights in various provinces as party members jostle for positions. Some of the provinces which are witnessing serious jostling for positions include Harare, Masvingo, Manicaland and Mashonaland Central. In Harare, former MP for Mt Pleasant Jason Passade and President Emmerson Mnangagwa's nephew, Tongai are believed to be leading the provincial chairmanship race followed by the likes of Harare province youth chairperson Godwin Gomwe and the current chairperson Godwills Masimirembwa. Passade told the Daily News he was not aware of the jostling but that if the province elected him to lead, he would accept while Tongai refused to comment. In Masvingo, the likes of Clemence Makwarimba, Bikita West MP Elias Musakwa and former Chiredzi South MP Ailes Baloyi are reportedly jostling to dislodge the current chairperson Ezra Chadzamira.